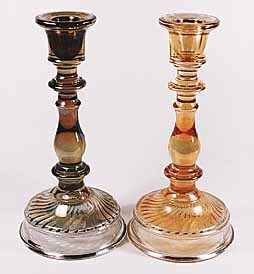 One of the more frequently found candlesticks and sometimes referred to as Spindle. 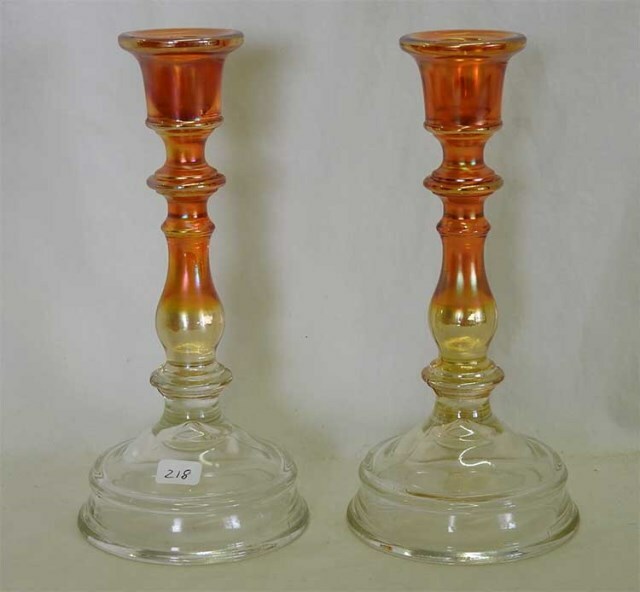 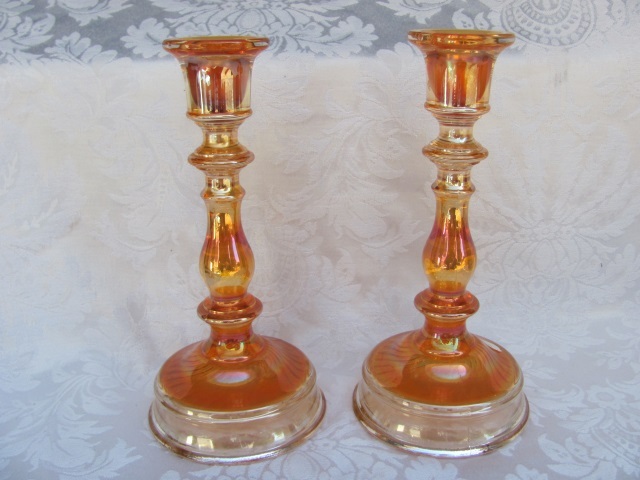 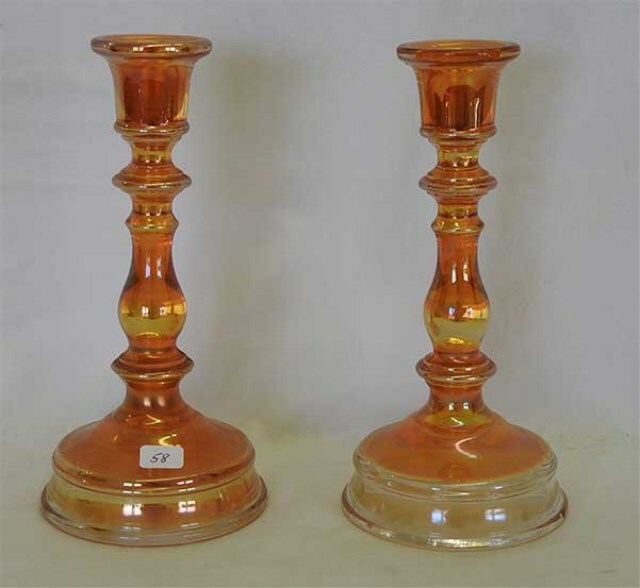 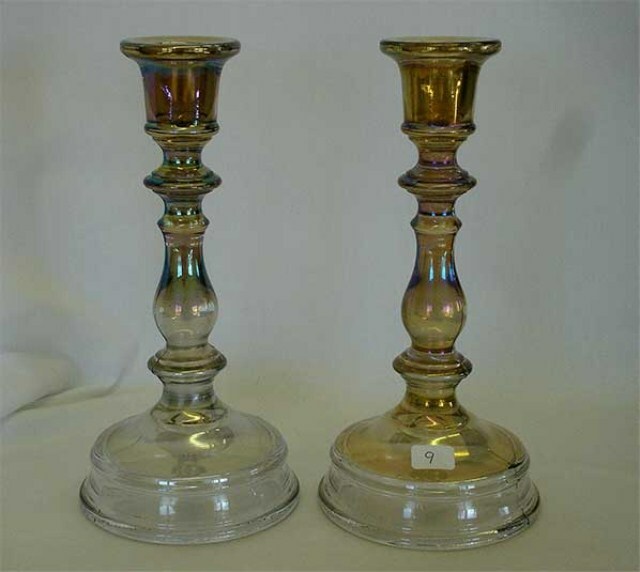 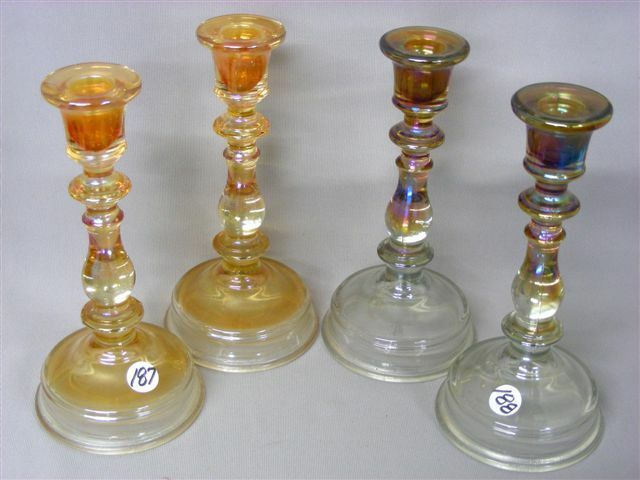 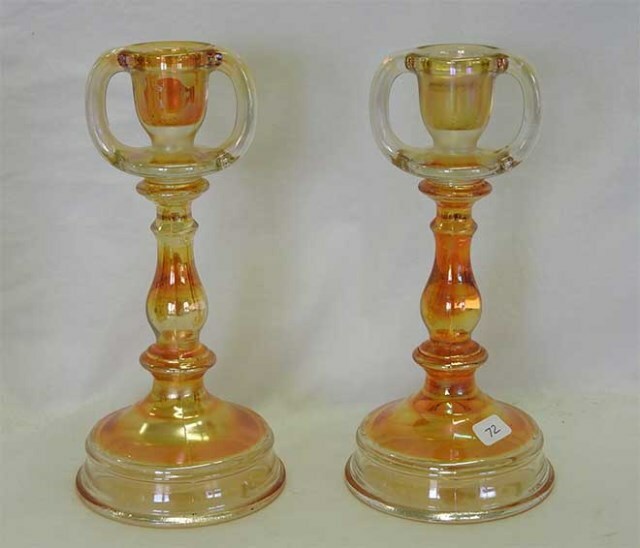 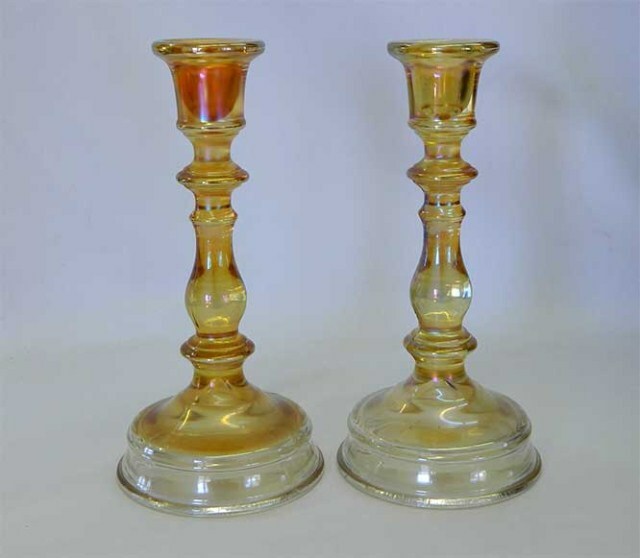 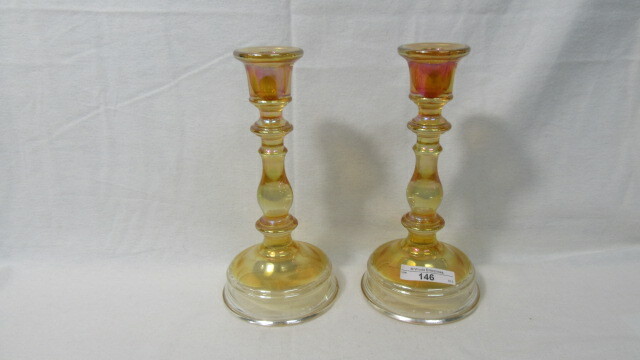 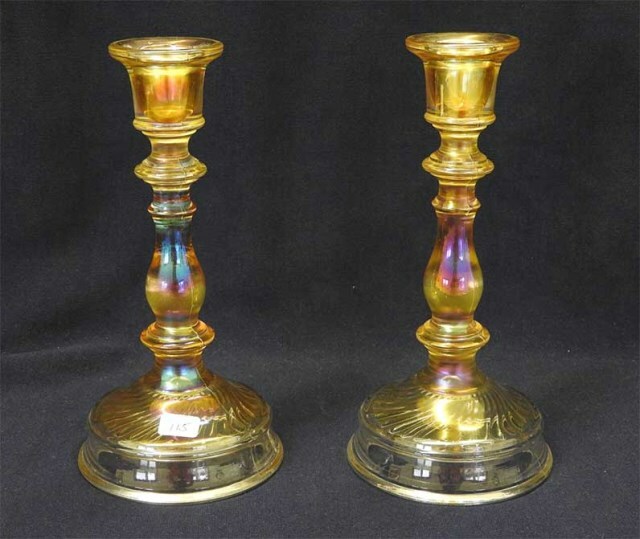 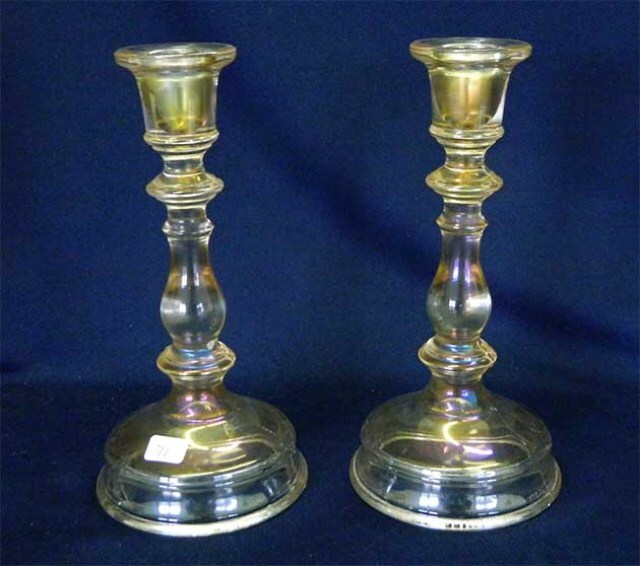 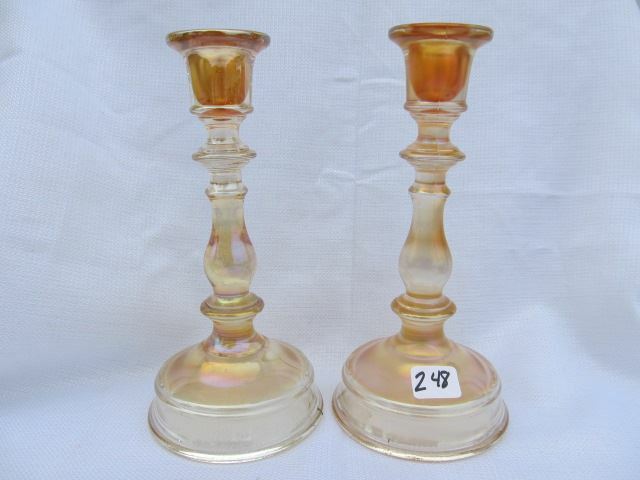 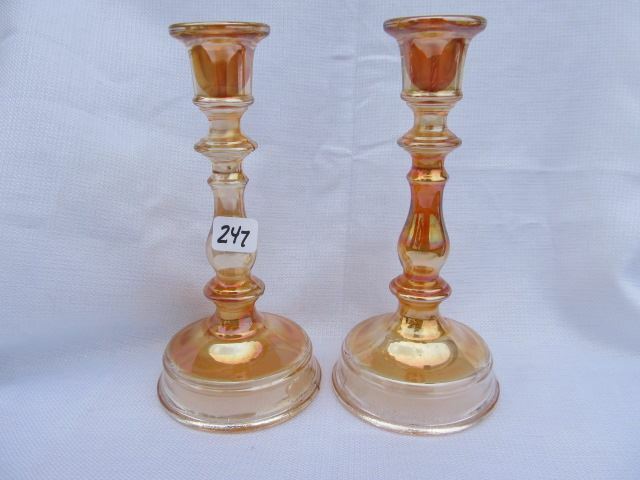 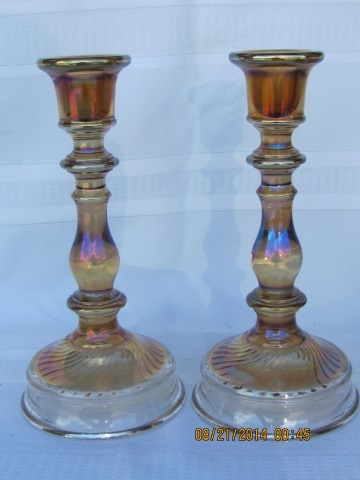 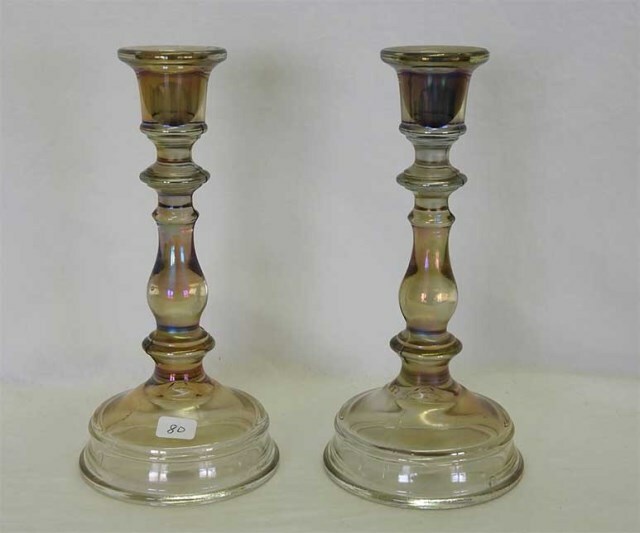 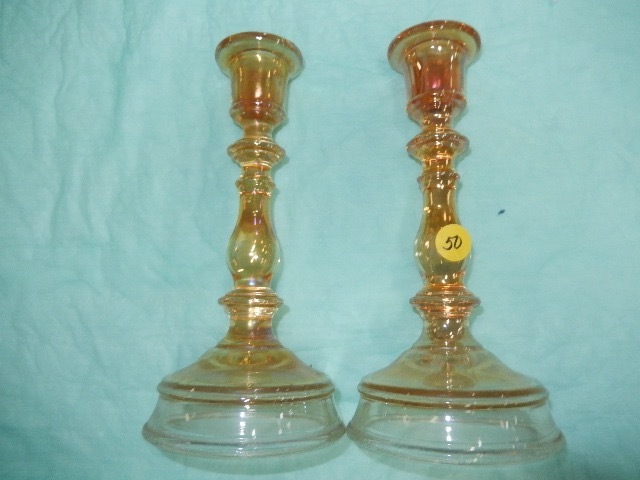 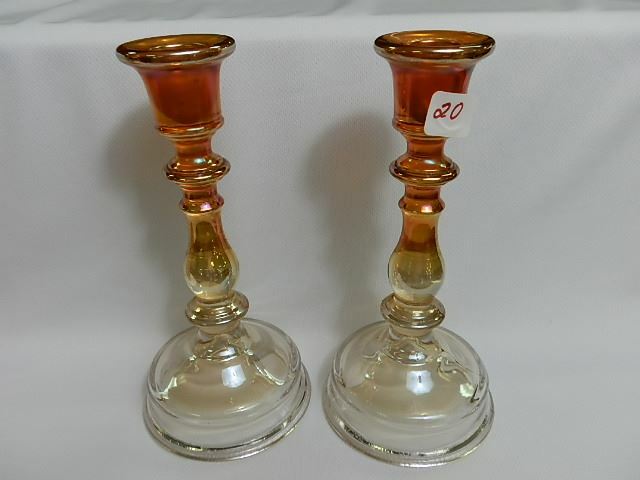 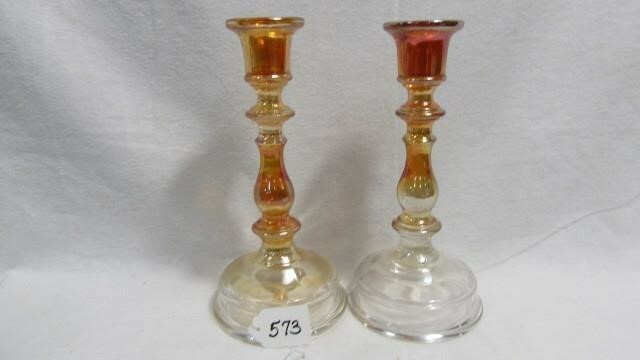 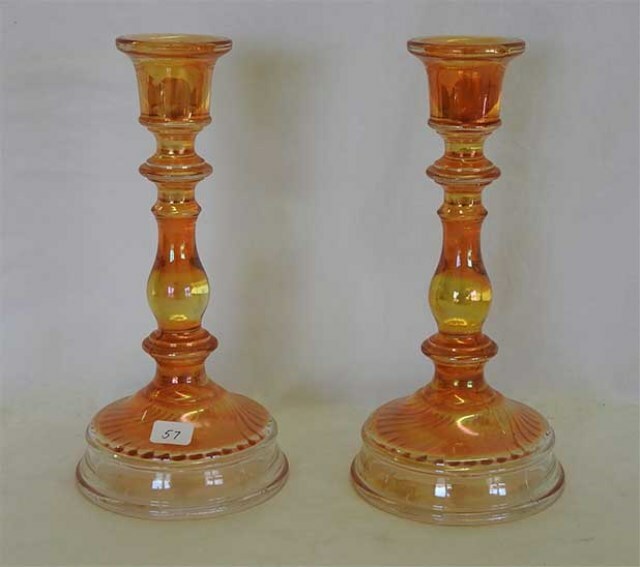 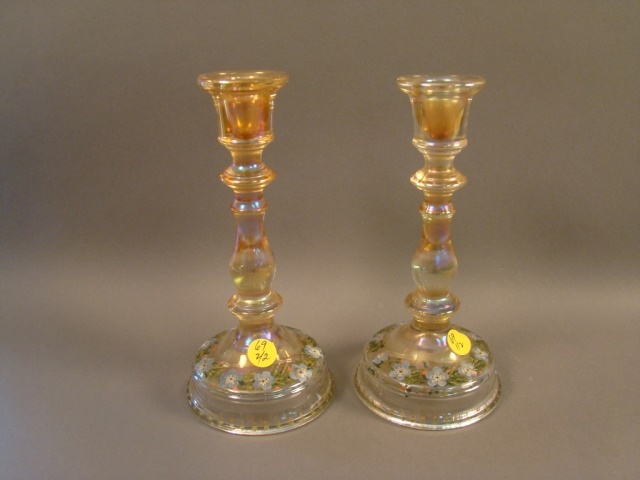 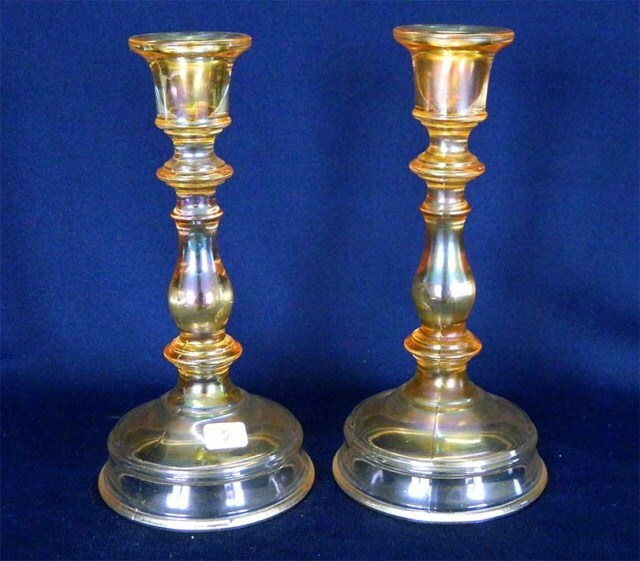 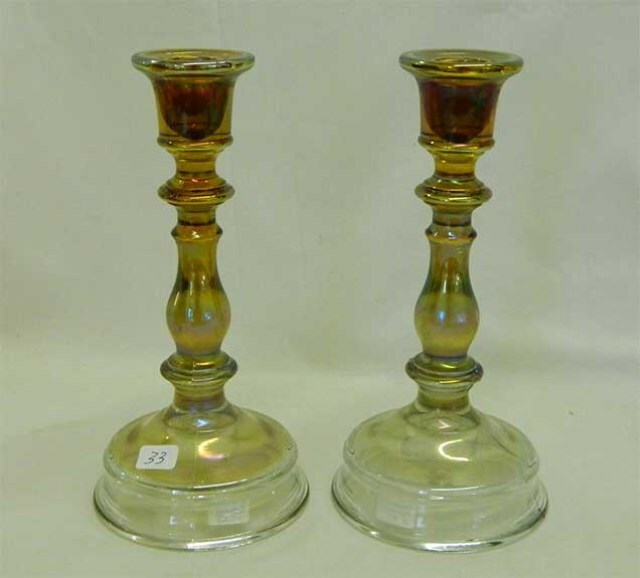 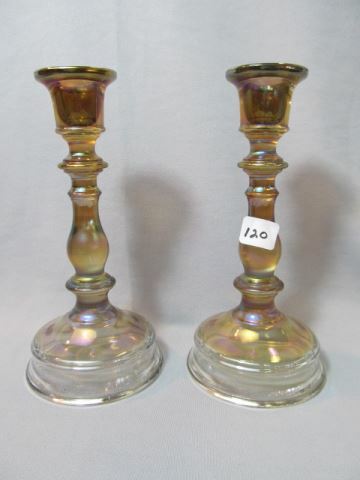 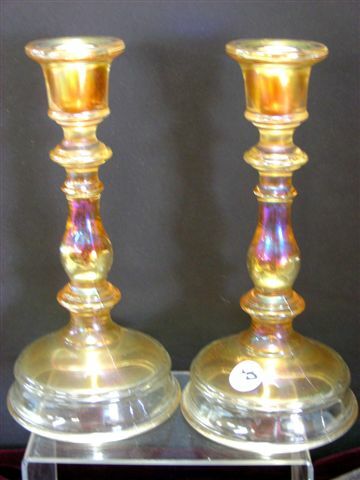 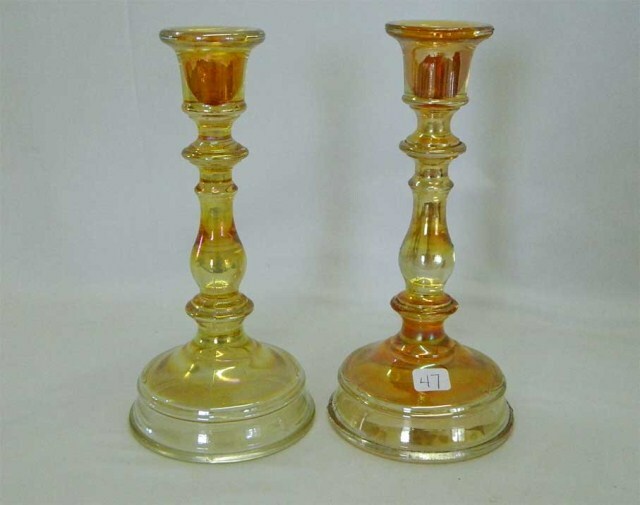 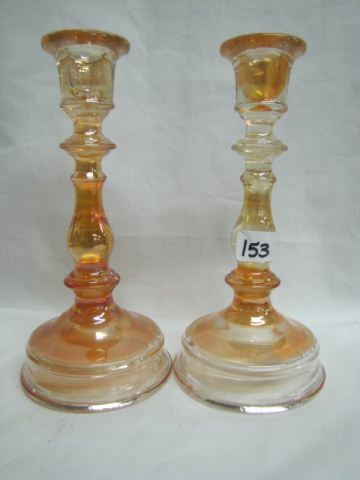 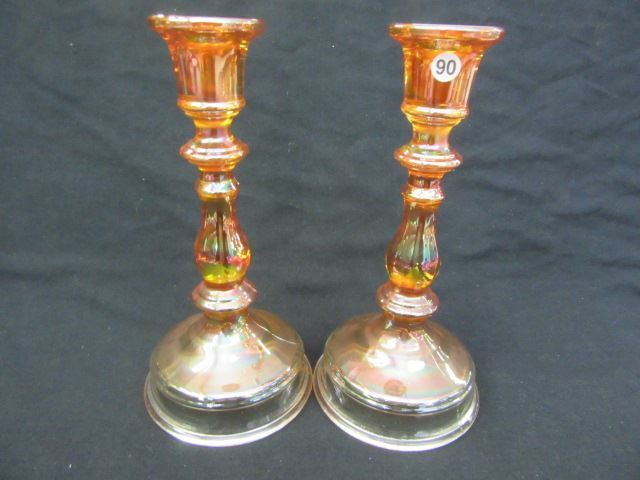 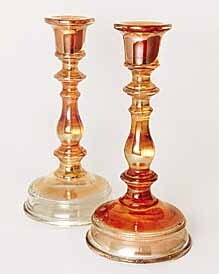 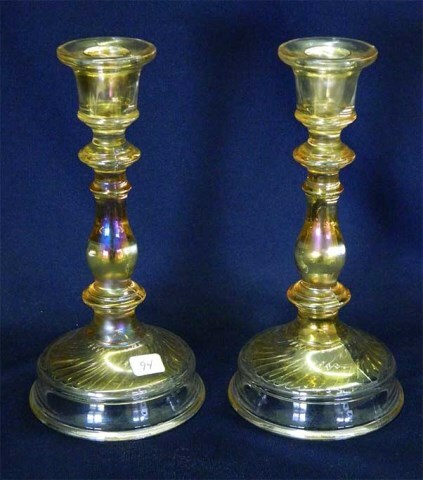 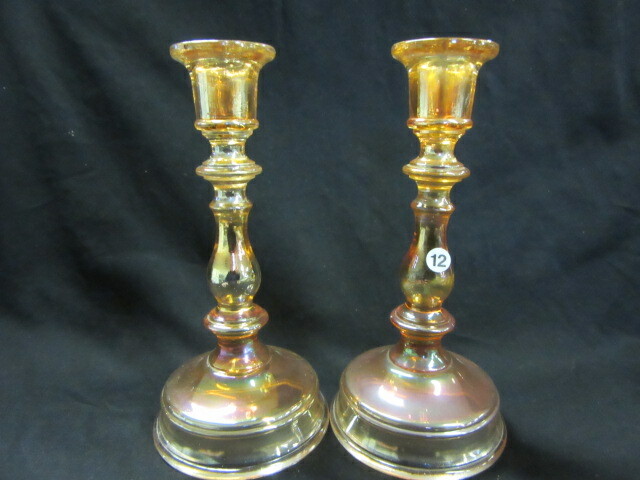 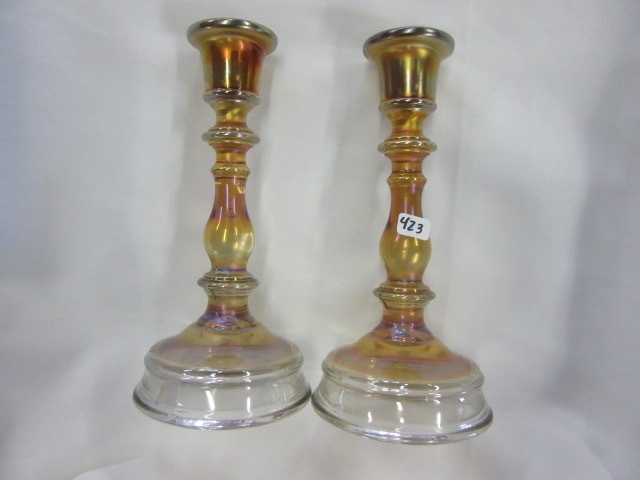 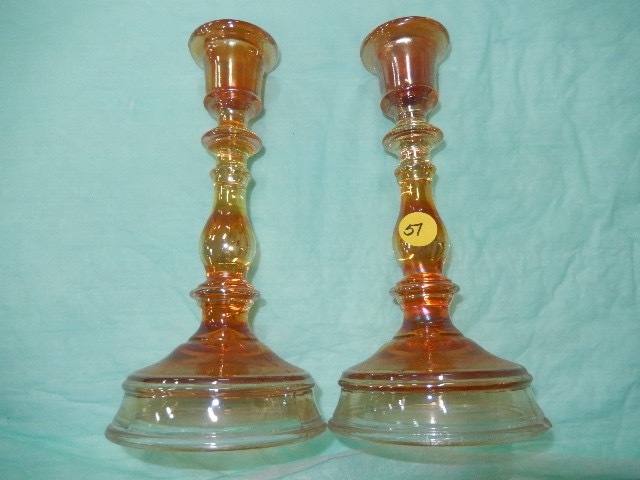 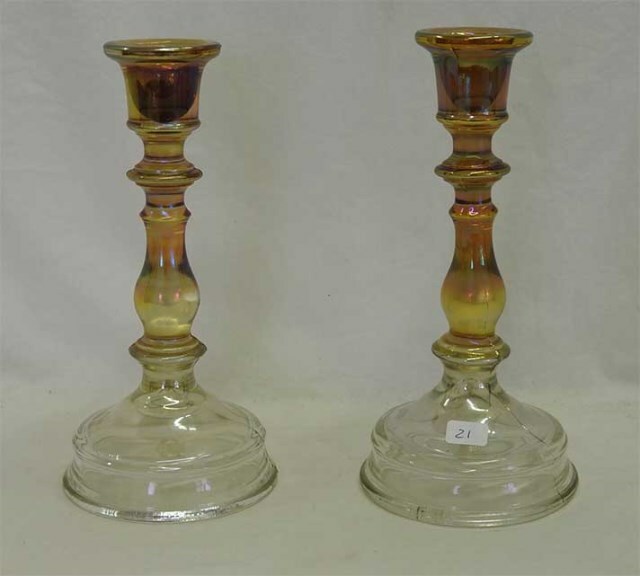 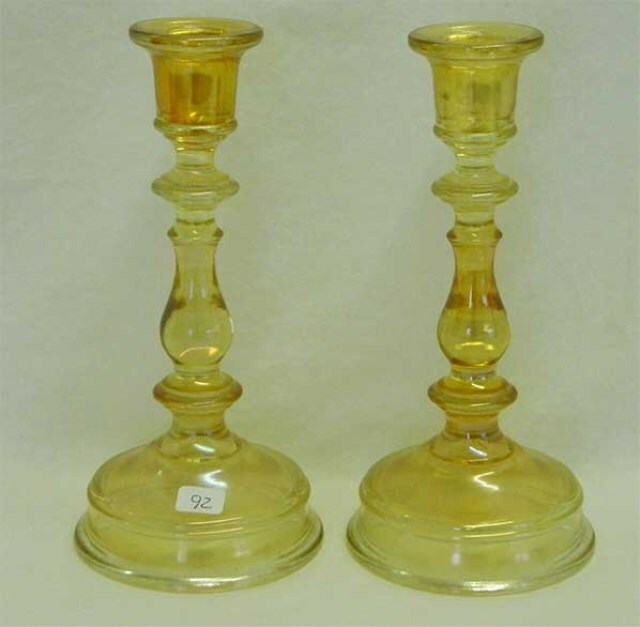 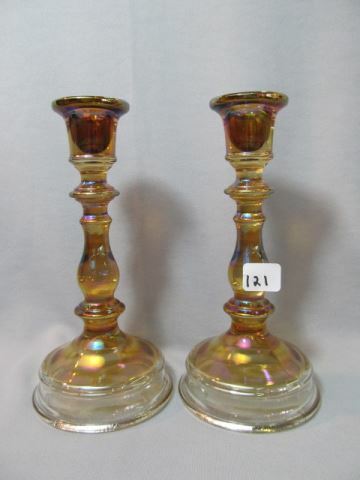 These 8 1/2-inch candlesticks are reported in amber and helios as well as the colors shown below. 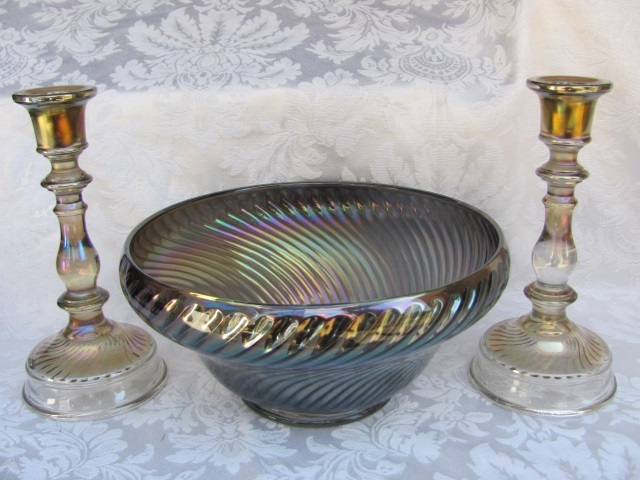 Also known in a console set that includes a bowl. 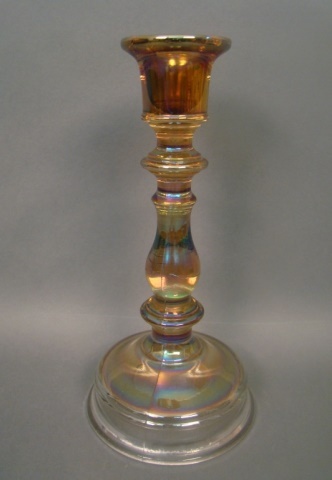 A variant has a swirl pattern on the interior of the base.